Please note, if you are looking for the U.S. equivalent of direct debit then please take a look at our ACH documentation. You must have an account with a payment processor that allows direct debit payment processing. We recommend GoCardless for direct debit payments. Setting up direct debit payments is a straightforward process. Click Setup on the Direct Debit payment method. Continue following the instructions to configure your payment gateway. For example, if you are using GoCardless then you can see the setup process here. Paying with direct debit has been made as straightforward as possible for customers. When a customer goes to make their first payment they must first accept the direct debit mandate. In order to kick off the process your customer will click Setup Direct Debit. 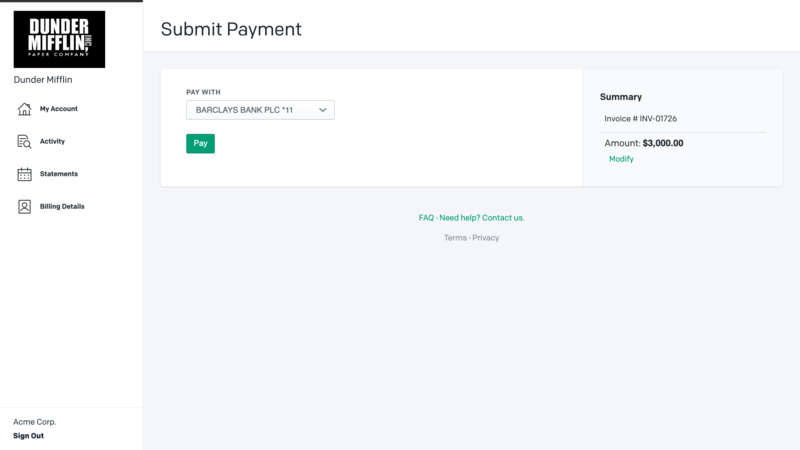 Once the direct debit mandate has been completed then your customer can now use their bank account to pay any invoice from you by returning to the invoice payment page and selecting their bank account as the payment method. New direct debit payments will have a pending status. Direct debit payments generally take 4-5 business days to complete. Once the transaction succeeds or fails we will update the invoice and send the customer a receipt. In the event of a failure we will create an event in the dashboard. Subsequent payments from the same customer will not require the customer to go complete another mandate. Direct debit payments work with AutoPay when your customer completes a direct debit mandate. 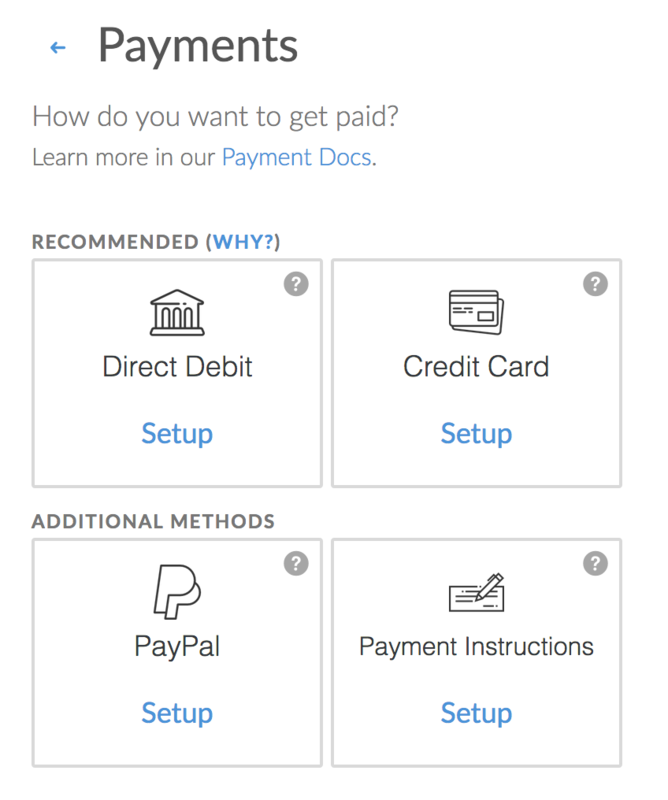 If you want to learn more about setting up the GoCardless integration for direct debit payments then please head over to our GoCardless documentation.